Samsung has launched a new 4G LTE smartphone ‘Galaxy J2‘ in India, which is the fourth smartphone in the Galaxy J series and an upgraded variant of Galaxy J1. Recently the company has also launched the camera-centric Galaxy J5 and Galaxy J7 smartphones. The device comes with an ‘Ultra Data Saving Mode’ that saves up to 50% of data usage and doubles the standby time of the device. Like the recently launched Galaxy S6 Edge+ and Galaxy Note 5, the Galaxy J2 also carries a ‘Made in India’ logo. “The Galaxy J2 reinforces our commitment to ‘Make for India’. Ultra Data Saving Mode, which is the key feature in the device, has been developed at our Indian R&D facilities to deliver the most cost-efficient 4G device” said Asim Warsi, VP, Marketing at Samsung India. 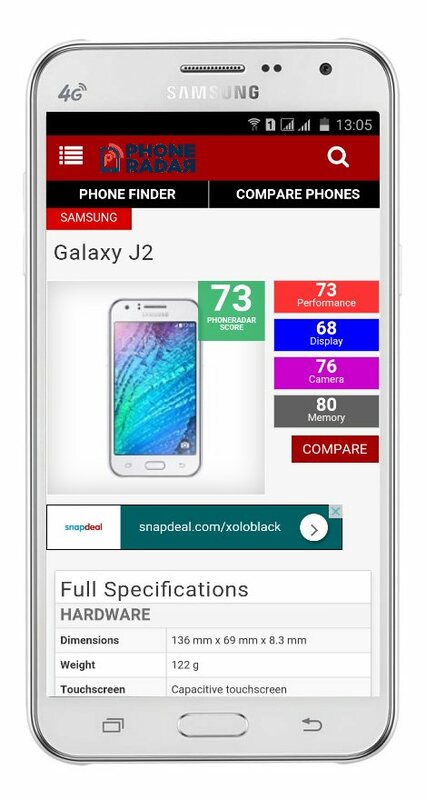 Talking about the device specifications, the Galaxy J2 sports a 4.7-inch qHD (960×540) AMOLED display. Under the hood is the 1.3GHz Exynos 3475 quad-core processor coupled with Mali T720 GPU and 1GB of RAM. It has 8GB of internal storage along with a microSd card slot. Coming to the camera, it has a 5MP rear camera with an aperture of f/2.2 and LED flash and a 2MP front-facing camera. The device supports dual SIM dual standby and offers 4G LTE connectivity along with Wi-Fi 802.11 b/g/n, Bluetooth 4.0, GPS/A-GPS, and MicroUSB 2.0. The device runs on Android 5.1.1 Lollipop based TouchWiz UI. It has a battery of 2,000mAh capacity that can give a single day of mixed usage. The Galaxy J2 will be available all over India through online and offline stores starting from September 21 for a price of Rs.8,490. There are many other entry-level smartphones like Redmi 2 Prime, YU Yuphoria, Lenovo A6000 Plus that offers better specifications than the Galaxy J2 even at cheaper prices. Starting with India the device will be launched in other developing markets in the coming weeks.